Made myself a set. I place a piece of elastic in the tab to hold the pen. I thought for those who have a hard time turning small items, like the tab used here. Get these , I have no ideal what they are called but are great, small teeth and lock in place . Thanks for looking! 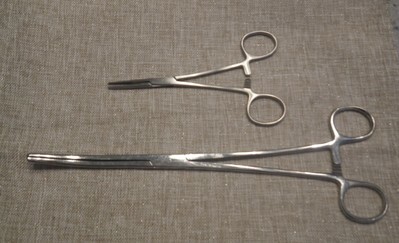 They're called hemostats or forceps. The over all quilting is from designs by Juju. 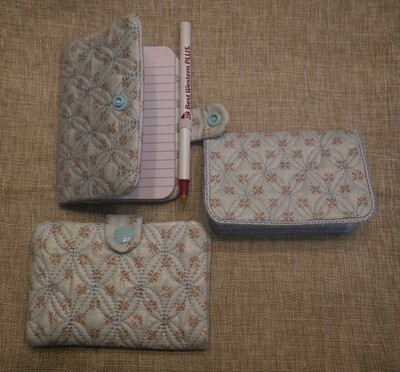 the wallet and book cover started off as mug rug and the business card was and applique . They all had the shape I needed just figured out where and when to add the sleeves to make them into what they are. Wonderful book cover and very nice tip for pen. Love your fabric choice. 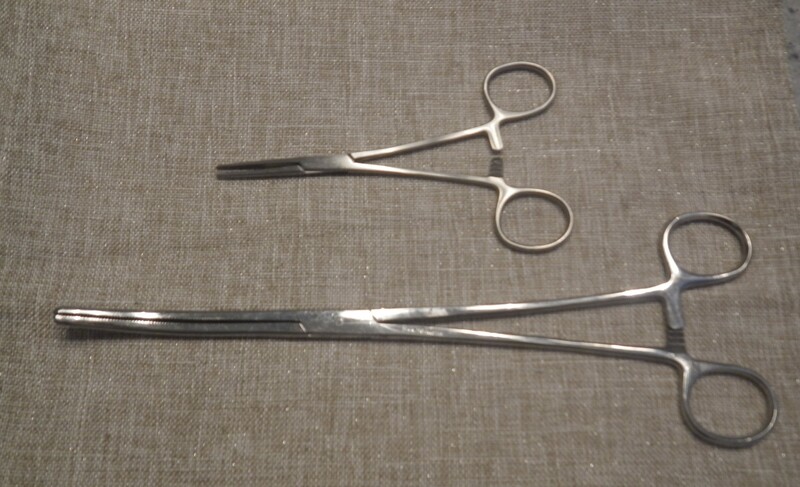 When in school we called them hemostats, but as I use something like them in my sewing room I prefer clamps. ;-) Thank you for sharing. Very nice, elegant and practical ! Thanks for letting my know what they are!